COLUMBIA, S.C. (AP) — Larry Moore was watching “Ellen” in a South Carolina prison when he heard a scream. Fellow cellblock inmate Tommie Wilson was bleeding from his face and running, in vain, for his life. Another prisoner caught up to Wilson, stabbed him with a long knife and bashed him with a lock slung inside a sock at Tyger River Correctional Intuition in Spartanburg County, according to a State Law Enforcement Division report on the 2008 killing. Augustus Bookert, serving five years for armed robbery, was charged with murder, which carries 30 years to life. However, he accepted a deal, pleaded guilty to voluntary manslaughter and got just 12 additional years behind bars, according to court records. The deal fits a pattern in the cases of prisoners killed by other inmates in South Carolina over the past two decades: Prisoners who kill often face little additional punishment. Prosecutors likely have several high-profile prison killing cases to come. Two inmates are awaiting trial on accusations they killed four inmates in an attempt to get the death penalty. And while the investigation continues, criminal charges seem almost certain against prisoners who killed seven inmates in an April riot . They are among the 20 prison homicides in South Carolina since 2017. All 20 cases remain open. 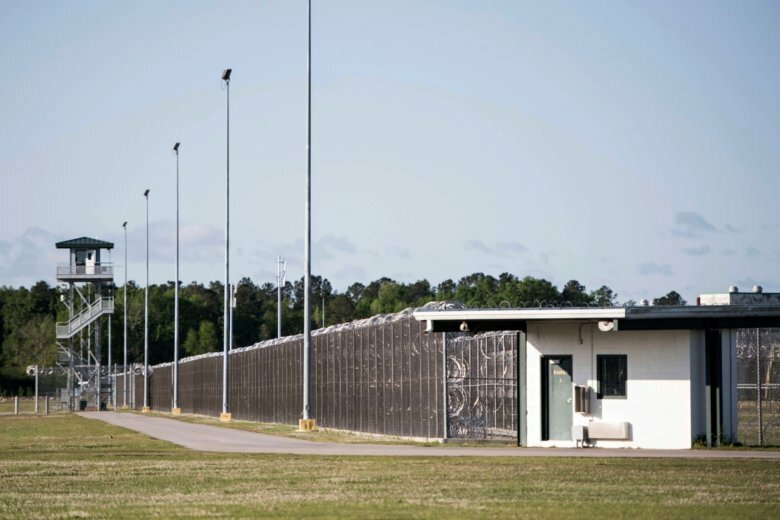 Several other Southern states, including Alabama, are also facing sharp increases of killings behind bars. While national statistics aren’t kept on how prison killers are punished, experts said holding inmates who kill accountable through the legal system is crucial to keeping other prisoners safe. The Associated Press used an open records request to gather data on South Carolina prison homicides since 1997, then reviewed court records and its own news archive to learn the outcomes. Prosecutors won convictions in 18 of 26 closed cases involving the deaths of inmates at the hands of fellow prisoners in the past 20 years. More than half of the 18 convicted inmates got sentences of 20 years or less. Of those 18 convicted prisoners, only three received a life sentence and two were given the death penalty. At least six were already serving life without parole. The rest can still expect to be released one day if they remain healthy. At least six cases remain unsolved. Prosecutors face a persistent challenge: It’s hard to find a deterrent when the prison killers are already serving lengthy sentences. One inmate made the problem painfully clear when he told the AP last year that after killing four inmates he was upset because he likely wouldn’t get the death penalty he wanted. A former prison director said he understands that slain prisoners often make unsympathetic victims, and prosecutors have limited resources. “A solicitor looks at the case, the perp is already serving a life sentence and the victim is already a convicted felon — and more often than not, one of the 20 percent that are the worst folks behind bars,” said Jon Ozmint, who directed the South Carolina Department of Corrections from 2003 to 2011. Bryan Stirling, the current director of South Carolina prisons is a former prosecutor. He understands why prosecutors would put more importance on a case where the killer who isn’t convicted will walk free, as opposed to a case where the killer is already behind bars. But Stirling also understands the need to protect inmates behind bars and keep order. He has doubled the number of investigators in state prisons from 25 to 50, which can both help determine what caused the killings and other crimes and tamp down smaller conflicts before they turn deadly. And he said a prisoner who kills a fellow inmate will likely face consequences. “Even if they don’t get more time, their stay changes dramatically. They can lose all their privileges. The housing unit can go from general population to a very restrictive unit where they are allowed out for only a short length of time,” Stirling said. In Wilson’s case, details of the decade-old killing were readily available. Twenty inmates, including Moore, identified Bookert as Wilson’s killer. Many of them told the same story — that Wilson had either beaten up or accidentally hit a friend of Bookert’s during a fight a few hours earlier on April 17, 2008, according to the investigative report. But the prosecutor who worked out the deal is no longer with the office, said Murray Glenn, a spokesman for the 7th Circuit Solicitor’s Office. South Carolina prisons have only become more deadly in recent years. State agents are still investigating the deaths of seven inmates during an April riot at Lee Correctional Institution. No charges have been filed yet. And in April 2017, authorities said inmates Denver Simmons and Jacob Phillip lured four mentally ill inmates to their cell at Kirkland Correctional Institution and killed them one-by-one. Simmons told the AP he was already serving a life sentence for murder and hoped to get the death penalty. But afterward, he learned South Carolina has no lethal injection drugs and hasn’t executed anyone since 2011. Simmons and Phillip are awaiting trial for the inmate killings. Prosecutors haven’t decided whether to seek the death penalty.